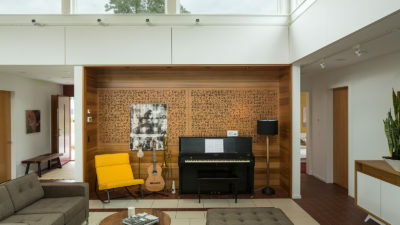 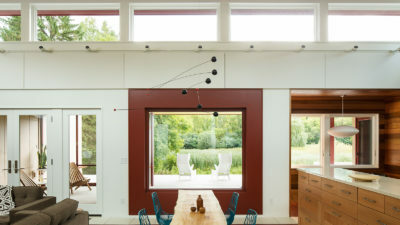 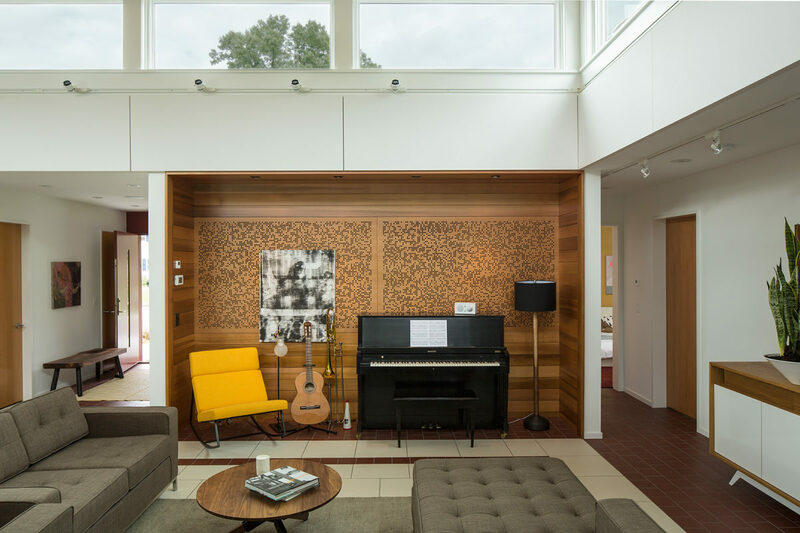 Quietly positioned overlooking a scenic marsh, light fills the interior courtyard that forms the main living areas of the house, which also serve as musical teaching and performance space. 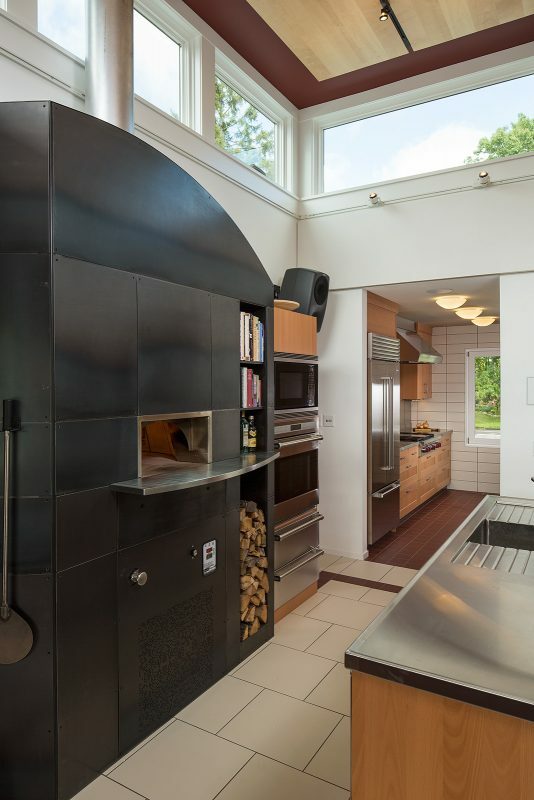 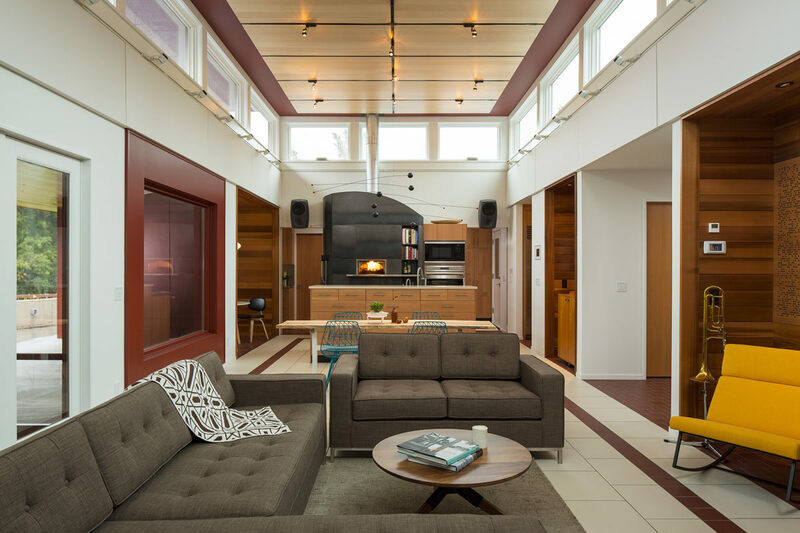 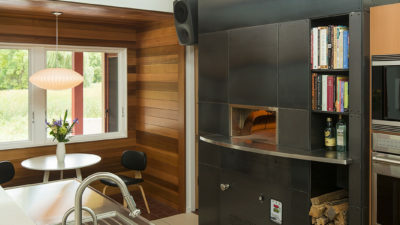 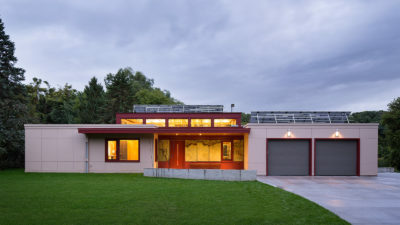 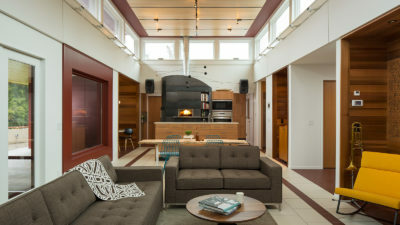 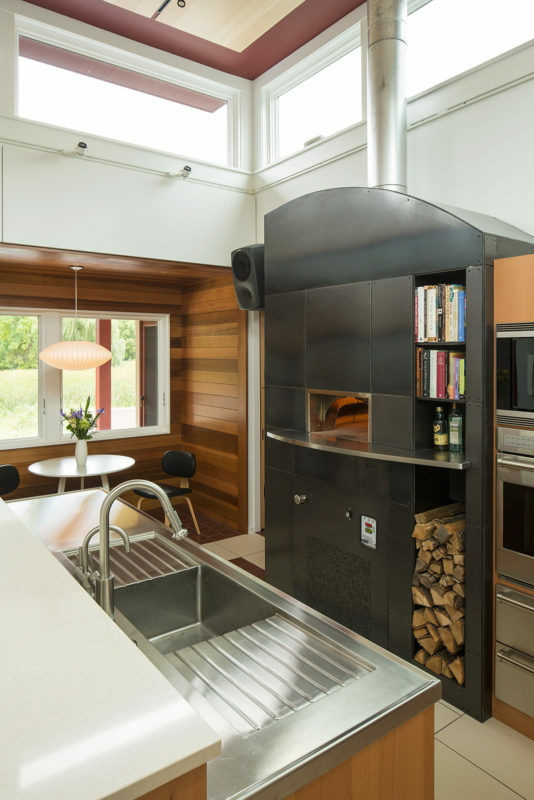 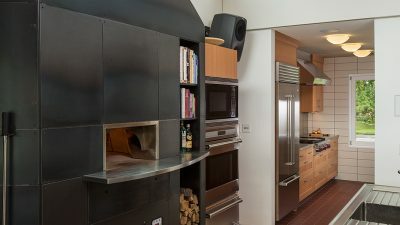 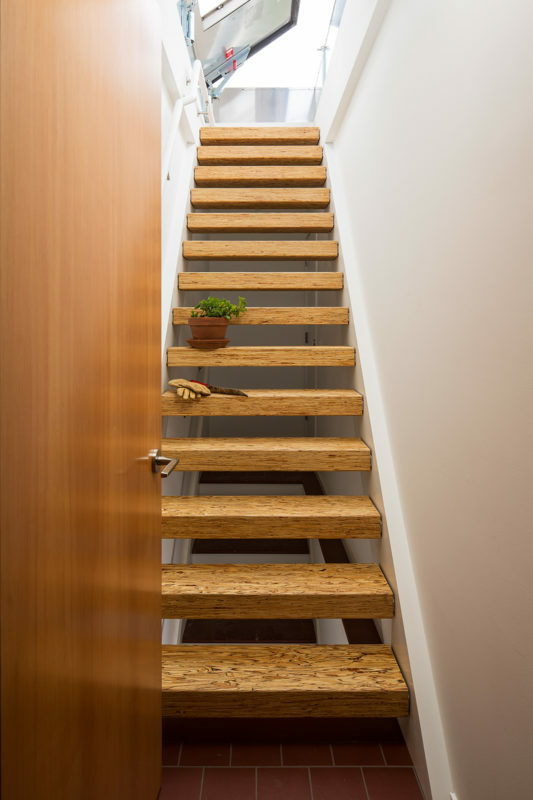 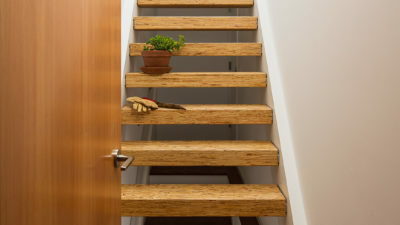 Surrounding the main living spaces are the bedrooms, a music teaching room, mudroom, and an electronics lab and workshop, all anchored by the kitchen’s wood-burning pizza oven. 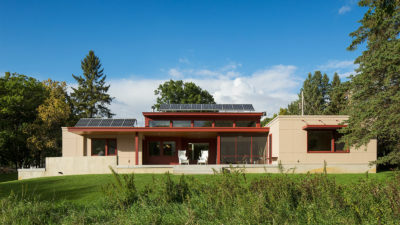 Acoustical panels with integrated custom lighting systems, clerestory windows, cantilevered roof overhangs and photovoltaic panels all work in harmony to make this space beautiful, functional and sustainable.